« Organizational culture and willingness to change: “Moving right along at the speed of business”. 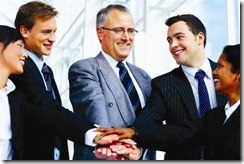 Another major factor for success of a project is management support. This can take many forms, but if you don’t have the following from your executives then problem are going to occur. Budget support. Do we have the money in place to do the job? Is the organization committed? A real budget shows commitment. An executive sponsor who owns the project not just supports it.